Network administration is a field that requires an incredible amount of work to reach professional competency. To reach a level where you can monitor a network independently you need to spend countless hours with meticulous preparation and reliable guidance. There are many different certifications that hold weight in the world of network administration but in this article we’re mainly going to look at the CCNA and CompTIA+ certifications. Cybrary is an IT training resource that has a substantial range of free network administration training materials. The Cybrary website has links to free network administration resources and classes for: the CompTIA Network+, Information Technology Infrastructure Library (ITIL) Foundation, Cisco Certified Network Associate (CCNA) and CompTIA Cloud+. Each of these resources is packed with information that will help you in an exam environment. The CCNA course is 15.5 hours long and includes an OSI model overview, as well as a thorough exploration of routing. The GNS3 CCNA (200-125) Course is a resource that gives students everything they need to come to grips with the world of network administration. This course features over 40 hours of video content with 70 online simulations and demonstrations helping you to prepare for the CCNA exam. While this course isn’t free it is competitively-priced at $39 (£29). The CCNA Exam is one of the most prestigious network administration qualifications that can be attained in the industry. The Exam-Labs 200-120 Exam provides you with a range of questions that you could encounter in your actual CCNA exam. However in order to view the answers to the exam you’ll need to sign up and make a free account. Once you’ve made an account you will also be able to print off the exam paper so that you can practice on your own terms. Learn Cisco is a website dedicated to Cisco courses, practice tests and CCNA labs. Currently, the Learn Cisco Practice Tests contain 55 questions and take 90 minutes to complete. This is a good resource for keeping you honest because once the time is up the test will be submitted automatically. The CCNA tests cover routing and switching, security, wireless, voice, video and cloud fundamentals. Leaderquest offers a study guide designed to get you on track ASAP. Its course includes practice tests and virtual labs to help you build your knowledge. In order to access the guide you’ll need to contact Leaderquest directly through the link above. This course is worth considering because of its after exam support. Once you complete your exam, you’ll be put in contact with an Employment Relations Manager who will help you to improve your resume and LinkedIN for that important next role. As the name suggests, Free CCNA Workbook acts as a resource for all things CCNA. The sites blogs are packed full of information that will help you to learn more about the core topics of the CCNA and the latest best practices. The site also has its own CCNA Routing and Switching Practice Exam 200-120 to check that you’re on the right track. This website is a resource for all things CCNA and CCNP. It features a thorough run down of any topic you can think of that relates to the CCNA Routing and Switching 200-125 exam. It covers Cisco routers, networks, routing protocols, and IP. This is also an excellent resource for Linux users with additional information on Linux Servers and Management services. ITPro.TV’s CCNA Routing and Switching Course provides one of the most accessible breakdowns of the CCNA you’ll ever see. This builds on content from the CCENT and covers a range of topics. Topics you can expect to encounter include OSPF, routing protocols, Inter-VLAN Routing, WAN connections, and infrastructure maintenance. Similearn’s CCNA Routing and Switching Practice Test can be accessed for free. Currently, the test includes 60 questions and has a time limit of 90 minutes. Each question is multiple choice. There is also an accompanying course that can be found via this link here. The course includes CCNA Routing and Switching Certification Training, Cisco 100-105 ICND1 Interconnecting Cisco Network Devices and Cisco 200-105 ICND2 Interconnecting Cisco Network Devices. Reddit is a social media website that is home to countless communities of hobbyists and other subreddits. 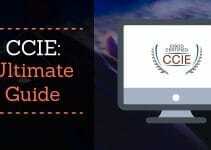 The CCNA subreddit provides visitors with a range of resources to help prepare for the CCNA exam. This is a great place not just to ask questions but to find out other resources as well. You’ll find a list of resources shown in the sidebar. Professor Messer is a well known educational content provider who has created a wealth of tutorials and materials for the CompTIA. The videos Professor Messer has created on YouTube are some of the most exhaustive sources you’ll find online. His website also includes a range of quizzes and practice tests so that you can put what you’ve learned into practice. RM Roberts is another site that provides some of the best sources for preparing for the CompTIA A+. The website includes study guides, practice tests, and articles dedicated to helping build your knowledge for your exam. It provides you with both study guides and practice tests for 220-802. Forums are one of the most underrated resources at your disposal online. The TechExams forum acts as a hub of information on the CompTIA A+ and is full of IT professionals providing information at the cutting edge of the industry. If you find yourself scratching your head at certain topics then posting an inquiry on the TechExams question can put you in touch with someone with more experience who might be able to help you earn your stripes. One indispensable resource for the CompTIA A+ are the Certblaster A+ Exam Notes. These provide you with more revision material than you could possibly need to pass your exam. Notes covers 220-901 and 220-902. Topics discussed include hardware, networking, mobile devices, and network troubleshooting. PC Technician is a site that specializes in helping administrators to prepare for the CompTIA A+ exam. The site features a range of practice tests ranging from PC architecture, computer networks, operating systems, system maintenance and backup technology. For more competitive candidates there is even a leaderboard where you can see how you perform against other candidates around the world! Reddit CompTIA is a subreddit dedicated to CompTIA certifications. Here you’ll find information on achieving the CompTIA A+ certification in particular. It includes other users commenting on their experience of the exam and helping others to improve their knowledge. This is a good source for general guidance and links to other resources. Crucial Exams has a wealth of content on the CompTIA A+ 220-901 and 220-902 exams. These include practices tests, study materials, and flashcards. If you want to practice on the go there is also an app that allows you to keep on top of your studying wherever you are. Mike Meyer’s CompTIA A+ Certification 901 Course has developed a reputation as one of the best available on the market. With over 90,000 students and a 4.6 star rating, this course has gained a strong seal of approval. The course has 14 hours worth of content with more than 120 video guides. This course can be purchased for a price of $144.99 (£111) and is recommended to those who want to learn the basics in a format that is easy to revise before sitting the exam. When it comes to identifying an effective learning path no resource is more illustrative than the CompTIA A+ 220-901 exam objectives. The exam objectives provide you with all the topics you need to learn, which are the official objectives of the CompTIA A+ certification. Reading through the core objectives multiple times will give you familiarity with the concepts you need to understand for the exam. Exam Compass has put together an extensive range of CompTIA A+ practice tests for 220-901 and 220-902. There are also a range of quizzes covering topics such as Windows command line, system utilities, basic Linux commands, security and troubleshooting. These tests are quite complex so they’re ideal as one of your more advanced resources while finishing off your preparation for the exam. Next up on our list we have Cert Forums. Cert Forums is home to a community of IT professionals and administrators helping other users to prepare for the A+ exam. There are over 2,600 threads of information detailing other useful resources as well as user questions. If you have any questions about the exam this is a good place to ask them. The ServiceNow Certified System Administrator test is a good resource for preparing for the basics of any upcoming administrator exams you may have. This practice test has 60 questions and provides you with an hour and 30 minutes to complete. In order to pass, you will need to have a pass mark of 70%. Being in the position to ace your exams is as much about memory as anything else. Without a doubt, one of the best ways to revise for your exam is to use revision cards to break your learning down into digestible chunks. Luckily you don’t have to go through the process of doing this yourself as Servicenow has 162 sets of flashcards targeted towards system administrators. However what really makes this an excellent resource for the ServiceNow Certified System Administrator exam is that you can test yourself on the card content too. This means that you can test what you know and then revise the areas where you’re struggling. ITPro.TV’s Cisco Certified Entry Networking Technician course offers over 21 hours of content to help budding administrators take their first step towards certification. Topics covered in this course include the OSI networking model, TCP/IP, IPv4, IPv6, Cisco hardware, LAN switching and VLANs. In other words, it covers everything you could ask for to be certified. We’ve included router simulators as their own section because they are incredibly important for developing your practical knowledge. Most administrative exams will aim to test your practical knowledge just as much as your theoretical expertise, so we recommend that you regularly practice with router simulators. We’ve included a mix of free and paid router simulators. NetSimK is a free simulator for the CCNA that has been designed to help users learn everything they need to about Cisco routers. It covers all CCNA 1,2,3 and 4 IOS requirements, making it the perfect, free companion simulator for the exam. It also features password recovery, telnet, routing table, visual ping trace, subnet connector and network design wizard. Packet Tracer is Cisco’s own simulation platform. Packet Tracer is available for free and can be downloaded from netacademy. However, before you download the program you need to enroll in a course. Once you’ve enrolled and completed your registration then you’ll be allowed to download it. GNS3 is a network simulator that gets major props as perhaps the best network simulation software available. To date there have been almost 17 MILLION downloads of this software around the world. It is ideal for administrators looking to take Cisco exams because it allows you to run simulations and configure Cisco routers. BoSon NetSim is another excellent network simulator available online. This simulator supports 42 routers and seven switches and utilises virtual packets to recreate a live networking environment. It also allows users to get quite complex by supporting up to 200 devices on one topology simultaneously. The NetSim for CCNA 7.0 version contains exercises that relate directly to the CCNA so that you can get some extra preparation as well. CertExams Router Simulator is an ideal choice for users who want to practice configuring Cisco and Juniper routers. It is available on Windows 7, 8, and 10. This product was specifically aimed at administrators studying for the Cisco CCNA 200-125 exam. It also includes six lab exercises to give your practical knowledge that extra push. 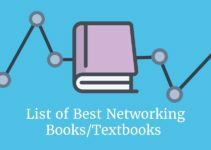 All of these net admin training resources are excellent materials that can help you to learn about networking. No matter what certification you’re studying for, we recommend that you use multiple resources. There are some topics that one resource will cover in detail that another will not cover as well. By mixing and matching resources you can take the best of both worlds and keep your learning balanced. It is also a good idea to spend a significant amount of time going through course content and forum guidance before you move on to completing practice tests. There’s no sense in taking practice tests until you have at least a rudimentary understanding of the course requirements. Once you start to get a basic understanding then you can start to see where your knowledge is weak. Naturally, you will want to incorporate simulations and practice labs as much as possible. Your exam is a stepping stone, but once you get your certification then you’ll be working with the real thing. Spending adequate time practicing with simulators and practice labs makes sure that you are ready for this transition as much as passing the exam!